I know I have been MIA for the month of February, but after Fashion week I decided to take a little vacation. Greetings to all my fellow Pisces!!! We rule the world. Back to Couture. Being a single woman, I have had an opportunity to be part of the bridal party. I think I only liked my bridesmaid dress once. My friend Nean, did a great job picking a dress for her bridesmaids. Ladies, why do you pick the worst dresses? 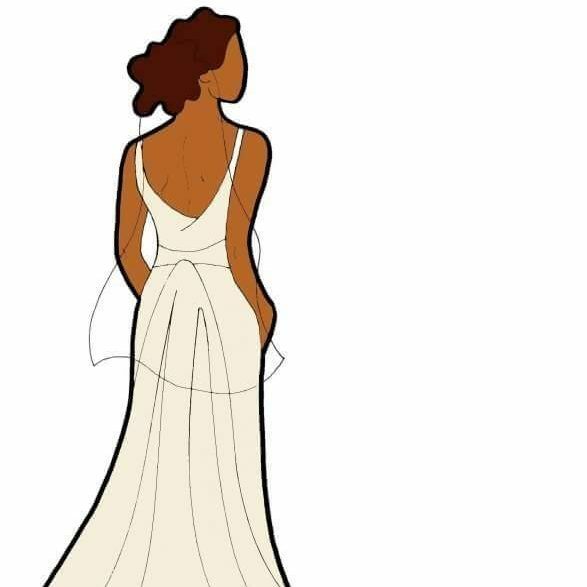 I don’t feel that an elegant dress will upstage the bride but it will complement the bride and can also be a nice investment for the single women. Think about it!! A bridesmaid is going to spend $200-$300 on a dress that she will only wear once. If the dress is nice, she will wear it again to a cocktail party or another wedding. Brides, be nice to the bridal party. I found a designer who designs great gowns. Basil Soda redefines simplicity. If you don’t believe me check is website. Ok , maybe too avant garde for a bridal party but I love it. For the simpler bride I would suggest Vineyard Collection for the bridal party. The gowns are available in a variety of colors.